Gene Seecann - "Builder" of this Site - At top of St Augustine Lighthouse on Viewing Deck after climbing 14 stories of stairs - 219 steps - My Wife and I counted! Great view was worth climb. Saves Time!!! Can quickly scan the mini-Blog Item Titles for ONLY the topics you are interested in clicking to view more Info! No e-mails! - No e-newsletters to clog up your inbox! Automatic new updates + no downloads needed - Can view on your Personal Home page with Yahoo, Google, MSN, and others. Not quite sure what RSS Feeds are all about? -- click on the "What's an RSS Feed?" link here or above on left for Info. Once you subscribe to an RSS Feed Blog, you will be amazed at how simple and time-saving it is. If you Subscribe to our free RSS feed at top left, your mini-Blog RSS feed would look very similiar to the extended list copy below - but usually with only the recent 5 - 10 items listed. Some RSS Feed Readers will show none, or will only show part of the images shown below, and then only if you turn on the "Display Images" option. -- You can always view the images on the web page when you click thru from the links in the mini-Blog item. Tip - Looking for something specific on this page with a link to more Info? Hit <Ctrl> <F> on your keyboard and type the word(s) that you are looking for in the "Find" search box that appears. You can instantly see all instances of your search hi-lited on this page. We also have Google's fast "Search our Sites" at bottom of page in the blue box. Our most recent 40 - 50 mini-Blog posts will be shown and can be searched on this web page. Check back for our upcoming categorized mini-Blog Archive pages. Continue reading "US Beach Vacations Blog (mini) / RSS - Affordable US Vacation Beaches NEW Info and Tips - Eastern Florida Beaches - Coastal Oregon - Virginia Beach"
Continue reading "Florida Lighthouses - PICTURES + History, Facts, and Links + Free Lighthouses Wallpapers and Screensavers Pictures"
Continue reading "How to take Good Photos - 5 NON-Technical Tips + Photo Examples -- Includes: Vacation Photography Tips - Landscape Photography Tips - Digital Camera Photography Tips + Candid Kids Photo Tips"
Continue reading "Sarasota FL Attractions and Must See's - Top Sarasota Attraction REVIEWS and Tips"
Looking for a Getaway to some place Warm and Sunny, Plus with some fun Car Racing Action!!?? -- The Daytona Beach Florida forecast for next week is mostly upper 70's with Sunshine! -- And the exciting Daytona 500 Race is coming up soon on Feb 23! More on "Must See" Top Daytona Beach FL Attractions at -" Daytona Beach Attractions -- "Reviews, Attraction Info, Tips, & Links. See you on the beach at Daytona Beach, FL soon -- I'll be the guy with his Camera on a monopod taking pictures and videos of the Ocean Waves while his Wife sits in a beach chair nearby relaxing and watching the Surf! Continue reading "Top Florida Daytona Beach Attractions -- Including the Daytona 500 Speedway"
How about a VERY Special Gift for your Sweetie (and You!) this Christmas? Here is an idea for something REALLY Special to give your Sweetie for Christmas this year! How about an Affordable last minute Romantic Escape or Discounted Weekend Getaway in late December or January to somewhere warm, like a Relaxing, Sunny Florida Beach! Check out an Affordable Weekend Getaway or Discounted last minute Romantic Escape at this link! -- a special Gift you will BOTH enjoy! See you at the beach! As usual, I'll be the grey haired guy taking pictures and videos of the ocean waves on the beach while my Wife reads a Quilting Magazine in a chair nearby. Continue reading "How about a VERY Special Gift for your Sweetie (and You!) this Christmas?" 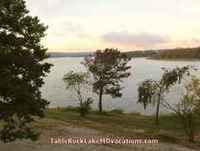 A New Table Rock Lake Missouri Vacations Scenic Beaches & Attractions page! From a scenic Road TripVacation to the Table Rock Lake area in Missouri. See you at Scenic Table Rock Lake in Missouri! Continue reading "A New Table Rock Lake Missouri Vacations Scenic Beaches & Attractions page!" How about a COOL last Affordable Vacation of the Summer in the US!!?? -- Average Central Oregon Coast July and August High Temps are 69 - 70 degrees, with average lows in the 50's! There is much to see and do in the Central Oregon Coast area - plus some scenic coastal drives to fun and interesting nearby Attractions and Lighthouses! Colorful Fall Vacations are enjoyable in Oregon as well. Continue reading "Getaway to the COOL Scenic Central Oregon Coast for your final Summer Vacation -- or a September Fall Foliage Viewing Weekend mini-Vacation Escape"
Enjoy relaxing walks on the Virginia Beach Boardwalk or the wide sandy beach with the restful sounds of the ocean waves and surf -- along with some great oceanfront Virginia Beach Dining! You also can do a peaceful forest and riverfront drive on the Colonial National Historical Parkway Scenic Road and bicycle trail between Yorktown, Williamsburg, and Jamestown VA.
To "Must See" Virginia Beach area Attractions + Day Trips & Tips - Including the Yorktown Village & Battlefield + nearby Colonial Williamsburg, Historic Jamestown, and Activity filled Busch Gardens! See you on the Virginia Beach Boardwalk -- I'll be the grey haired guy taking pictures with his Canon Camera on a monopod with his Wife enjoying "People Watching" on a bench nearby! Continue reading "Escape to a Fun Virginia Beach Getaway Weekend or an Affordable Virginia Getaway Vacation"
St Augustine Florida has over 43 miles of varied white sand beaches -- and MANY interesting Historical Attractions! It is a beautiful plus fun and "educational" Historic place to take a Florida beach vacation. See you at the beach! - Gene Seecann - I'll be the guy taking pictures while my wife patiently reads a quilting magazine nearby! Continue reading "Time to Plan a Fun Vacation to Eastern Florida Beaches at St Augustine, Florida"
Plan your Getaway to the Central Oregon Coast for a relaxing Spring or Summer Vacation with Fun and Scenic Day Trips! Continue reading "Plan your Getaway to the Central Oregon Coast for a relaxing Spring or Summer Vacation with Fun and Scenic Day Trips!" Find Ideas, Deals, Links, & Discounts here for your next Affordable US Beach Vacation! See you at the Beach! Gene Seecann -- I'll be the guy taking pictures of the ocean waves and beach birds with his wife walking ahead looking for sea shells. 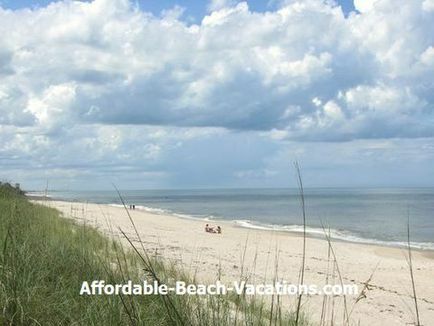 Continue reading "Cheap Beach Vacations - Escape to an Affordable US Beach Vacation Getaway Weekend! Relax at Sunny Florida East Coast Beaches"
$$ - Affordable US Beach Vacations, "Cheap" Vacation Condo Rentals, Travel Bargains, and Top Attraction Discount Tips Also how to find some great Weekend Getaway deals + special prices on park passes. -- Click Image on right or here for a page of Discounted Travel Tips for All Ages"
Continue reading "Attraction & Discount Travel Tips for Affordable Beach Vacations & Getaways for All Ages + Especially for the over 50 Crowd"
Now that the Kids are out of school, consider a Fun Family Vacation to Virginia Beach with it's many interesting and fun nearby Attractions. 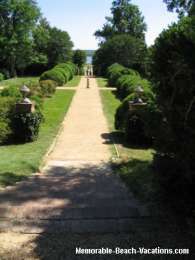 Colonial Williamsburg is a Favorite near Virginia Beach Attraction. 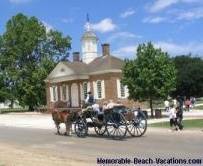 Do at least one Day Trip or a 1 or 2 day overnight during your stay at Virginia Beach to be able to see at least the "Must See's" that Colonial Williamsburg has to offer. Don't miss the Governors Palace Tour and be sure to see a Fun Melodrama style Play with a lot of audience "interaction! Continue reading "Check out some Fun and Educational Day Trips to Colonial Williamsburg near Virginia Beach + Pictures"
Getaway to Relaxing Sandy Beaches and Sunshine at an Affordable Cocoa Beach Florida Vacation getaway! Sunny low 80's Temps in Cocoa Beach and other Affordable Eastern Florida Beaches for the next 10 days. The Time to plan your Fun Florida Beach Vacation May Getaway is now! Plan your Cocoa Beach Vacation Day Trips to Cape Canaveral Space Center and to nearby Orlando Attractions with these suggestions and area Tips including some Tips for Top Pick Cocoa Beach waterfront restaurants! More Waterfront Cocoa Beach Restaurant "Reviews" & Photos at: Waterfront Restaurants in the Cocoa Beach area + up at nearby Port Canaveral. See you at the Beach -- I'll be the guy with his camera on a monopod taking pictures and videos of the ocean waves and the birds hunting for sand crabs on the sandy beach with his Wife sitting in a beach chair nearby reading Quilting Magazines! Continue reading "Getaway to Relaxing Sandy Beaches and Sunshine at an Affordable Cocoa Beach Florida Vacation getaway!" 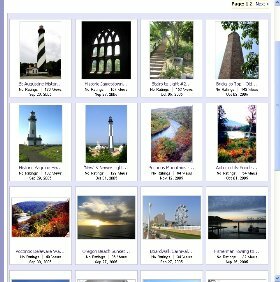 Select from a few User Favorite Florida St Augustine Campground and RV Parks with Locations, & Facilities list. Includes User "Reviews" and a Interactive Satellite Aerial Map showing how close RV Campgrounds are to to the ocean beach + Historic St Augustine, FL Attractions. Continue reading "Think Warm! Plan a Spring St Augustine Florida Camping Trip with a nearby Ocean View - Use the Interactive Map to see how close Campgrounds are to the Ocean + Historic St Augustine"
Fall and Colorful Fall Foliage Viewing drives are here! How about a Scenic Fall Road Trip "Add on" to a Virginia beach Vacation or a Colorful Fall Getaway Vacation drive on the beautiful Fall Blue Ridge Parkway. Driving Tips & Map page includes the Blue Ridge Parkway & Mountains in Virginia + North Carolina and Biltmore Mansion Attraction Photos & Info. Colorful Virginia Fall Blue Ridge Parkway Drive Info + Photos & Tips. Continue reading "How about an Affordable and Colorful Blue Ridge Parkway Mountain Fall Vacation Road Trip? - Map, Tips and Photos"
Find the Projected Peak Fall Foliage Color dates for a colorful Virginia Fall Getaway or Blue Ridge Parkway Fall Foliage Viewing "Leaf Peeping" road trip. 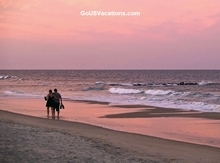 Could be a peaceful two or three day "add on" drive to a relaxing Virginia Beach vacation! 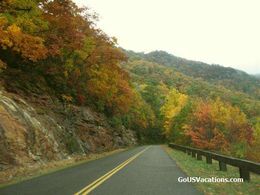 This page has Colorful Virginia Fall Blue Ridge Parkway Drive Info + Photos & Tips. -- I'll be the guy pulled off taking foliage pictures with my camera on a monopod while my Wife patiently reads a Quilting Magazine in the car. Continue reading "Projected and Current Virginia Peak Fall Foliage Color Maps for your best dates for a Colorful Foliage Viewing Getaway Vacation in Virginia"
Continue reading "Gene Seecann Sites Comment Form: US Beach Vacations - US Mountain Fall Vacations - Nebraska Travels - Colorado Scenic Mountain Drives - Build a Business Website Cheap"
Continue reading "Affordable Beach Vacations & Attractions in the US - 'Cheap' Beach Vacations & Affordable US Getaways"
We are now on Facebook at Affordable Beach Vacations! "Like" our new page and join other lovers of Affordable Beach Vacations to keep up on what's new at Affordable (and even "Cheap") Beach Vacations in the US -- and add your own comments & Photos to the "Wall!" To our new Facebook Affordable Beach Vacations "wall" page -- "Like" the page to see new Getaway Beach Vacations and Attractions comments & Photos as they are added. See you on the beach at Cocoa Beach, FL soon! -- I'll be the guy taking pictures & Videos of the beach and Ocean Waves while his Wife sits in a beach chair nearby reading Quilting Magazines. 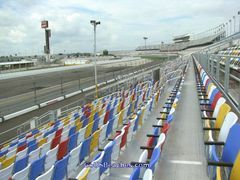 Continue reading "We are now on Facebook at Affordable Beach Vacations"
Four top Florida Daytona Beach Attractions -- Including a Tour of the Daytona 500 Speedway -- or go to a NASCAR race! Our Top 4 "Must See" Daytona Beach Attractions -- "Reviews, Attraction Info, Tips, & Links. See you on the beach at Daytona Beach, FL soon -- I'll be the guy with his Canon Digital Camera on a monopod taking pictures and videos of the Ocean Waves while his Wife sits in a beach chair reading Quilting Magazines or relaxing watching the Surf! Continue reading "Four top Florida Daytona Beach Attractions -- Including a Tour of the Daytona 500 Speedway -- or go to a NASCAR race!" Vacation Photography Enthusiasts - Check out New page with 5 "Non-Technical" Basic Vacation Photography Tips! 5 "Non-Technical" Basic Photography Tips on How to Take Good Photos on Vacations. 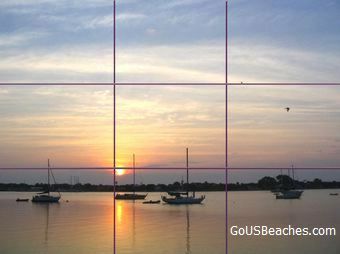 Includes the all-important "Rule of Thirds" + 4 other Basic Digital Photography Tips and some photo examples from some experiences with taking over 11,000 US Vacation Photos. Some useful: Landscape Photography Tips, Scenic Photography Tips, Travel Photography Tips, and "Non Technical" Digital Vacation Photography Tips. See you on the beach at Cocoa Beach, Florida soon -- I'll be the guy with his Canon Digital Camera on a monopod taking pictures and videos of the birds on the beach while his Wife sits in a beach chair reading Quilting Magazines! Continue reading "Vacation Photography Enthusiasts - Check out New page with 5 "Non-Technical" Basic Vacation Photography Tips!" Continue reading "Take a tour of the Ron Jon Cape Caribe Resort + Stay at Country Inn & Suites hotel"
Continue reading "North Landing Beach Campground/ RV Camping"
Escape to warm Temps and Sunshine at an Affordable Cocoa Beach Florida weekend getaway! 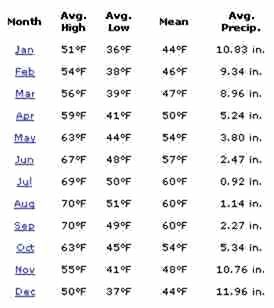 You can check out the current Cocoa Beach, FL temperature and upcoming weather with the handy "Forecast" link in the Cocoa Beach weather box near the top of the page linked to below or from the photo. Plan your Cocoa Beach Vacation Day Trips to nearby Cape Canaveral Space Center and to nearby Orlando Attractions with these suggestions and area Tips including some reviews of some Top Pick Cocoa Beach waterfront restaurants! 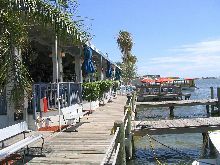 More Waterfront Cocoa Beach Restaurant Info & Photos at: Waterfront Restaurants in the Cocoa Beach area + up at nearby Port Canaveral. See you at the Beach -- I'll be the guy taking pictures of the ocean surf and the birds scrambling for sand crabs as the waves go out on the sandy beach! Continue reading "Escape to warm Temps and Sunshine at an Affordable Cocoa Beach Florida weekend getaway!" Continue reading "North Landing Beach Campground & RV Resort"
There are still 70's daytime temperatures in Warm and Sunny Cocoa Beach, Florida! Plus the crowds are gone at the beach and fun Orlando Attractions only an hour away! Plan your Cocoa Beach Vacation Day Trips to nearby Cape Kennedy Space Center and Orlando Attractions with these suggestions and area Tips including waterfront restaurant reviews! See you at the Beach -- I'll be the guy with his Canon Camera on a mono pod taking pictures of the ocean surf and the birds hunting for sand crabs! Continue reading "Surprise your Sweetie with a Romantic Getaway to Sunny Cocoa Beach Florida and nearby Orlando Attractions"
Plan your Day Trip driving adventures to Attractions and Points of Interest in Coastal Oregon with this Interactive Map of the Oregon Coast. Map page has some useful printable maps and Links where you can see Mapped Central Oregon Coast Attractions, Lodging, and even Campgrounds with Info Links, Driving Directions, and User Reviews. 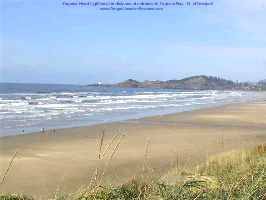 Also a pre-setup online Oregon Coast Day Trip Map to Newport Oregon Beaches and Attractions with estimated distances and driving times plus a map of Oregon Coast Lighthouses with Info Links. See you on the Coastal Oregon 101 Highway. Gene Seecann -- As always, I'll be the guy stopped taking pictures while my Wife patiently reads a Quilting Magazine in the car. Continue reading "Plan your Coastal Oregon Day Trips with this New Interactive Pre-setup Map of the Oregon Coast"
Brevard County Zoo - Fun Natural Habitat and Clean! Continue reading "Brevard County Zoo - Fun Natural Habitat and Clean! " Also can check out some Affordable Discounted Vacation Rentals on our Near the Beach Virginia Beach Rental Condos page - possible "cheap" Virginia Beach vacation condo rentals approximately a block from the beach. Continue reading "Planning a Virginia Beach Vacation? 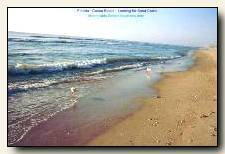 See the "Reviews" on some Top Pick Oceanfront Virginia Beach Vacation Rental Condos at the South End of Virginia Beach"
There are some great SE Virginia beaches near "the" Virginia Beach that are more more natural -- and often less crowded -- if you are interested in wildlife or camping . Fun and often peaceful beach options on the Atlantic Ocean & Chesapeake Bay + some nearby Rivers & Bays and State Parks. Beach photo - First Landing State Park beach area on Chesapeake Bay. Click Image or here for SE Virginia's "Other" beaches" -- Photos, Info Links, Driving directions, and Tips. We had fun watching the Surfers at Croatan - "the Surfers beach." Croatan is just south of the Virginia Beach Boardwalk area and Rudee inlet and is a popular spot for local surfers. First Landing State Park has a 1.25 mile long beach area fronting on Chesapeake Bay + campsites, RV hookups, and rental cabins (make your reservations early!) Many improvements including 20 miles of hiking, nature, and bicycle trails + a childrens playground make First Landing Virginia's most popular Family Camping park and beach. -- Or see more on: "The" Virginia Beach "Must See" Attractions, Day Trips, Links, and Tips. Virginia Beach has 38 miles of various types of coastlines - see as many of them as you can! 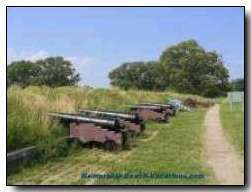 Photo on right - Jamestown Battlefield Day Trip. Rent the Audio Narrative CD and do the Battlefield Driving Tour - Fun + Educational! Continue reading "Great Beaches other than "the" Virginia Beach - Some Isolated with Wildlife - Some with Camping and Hiking Trails - One for Surfers"
Our "Affordable US Beach Vacations" RSS Feed / mini-Blog has a new look! -- and Photos! I don't normally do a "mini" Post about our own Affordable US Beach Vacations "mini-Blog" / RSS Feed, but have done some "face lift" changes recently that wanted to tell you about. This is still is a brief Site mini-Blog about "What's New at US Beach Vacations," but now many of the posts have Photos and Image Links + some formatting changes to make it easier and more fun to read. All or some of the Post Images display if using: Google Reader, Bloglines.com, and Pageflakes.com online readers, a My Yahoo page, plus some other RSS Feed readers. Some readers do not display RSS Feed Images. Sorry! Check it out and send us your comments or suggestions using the comment form at the bottom the page. Thanks! Continue reading "Our "Affordable US Beach Vacations" RSS Feed / mini-Blog has a new look! -- and Photos!" 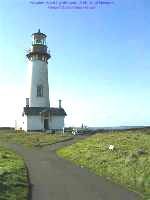 How about a Relaxing Romantic Getaway Vacation to the Central Oregon Coast and Beaches + Lighthouses? Getaway to the varied Central Oregon Coast for some Peaceful & Scenic Oceanfront Coastal Drives with "Must See" Historical Lighthouses. Beautiful Sunsets with many memorable Beach Photo opportunities + Fun Day Trips. Continue reading "How about a Relaxing Romantic Getaway Vacation to the Central Oregon Coast and Beaches + Lighthouses?" Continue reading "Coastal Oregon Vacation Beaches - Affordable Scenic Attractions near Florence Oregon + Map, REVIEWS and Tips"
Continue reading "Virginia Beach Picture Album + Guide - Virginia Beach Vacations Area Attractions with Reviews & Tips - Picture beaches - Pg 1"
Continue reading "WATERFRONT Melbourne Florida Restaurant Top Picks - Reviews and Tips + Melbourne Florida Seafood Restaurant favorites"
Some of our favorite waterfront restaurant dining options with a great view are in the Cocoa Beach and Port Canaveral Florida area. Check out 'Reviews' and Tips + Top Pick Favorites and a printable Restaurant Map. 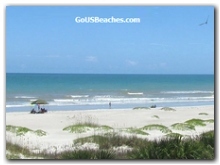 Also handy links to other Info on what to do and see in the Cocoa Beach area. Continue reading "Check out some Great Waterfront Cocoa Beach and Port Canaveral Florida Restaurant Top Picks + REVIEWS and Tips"
Camped at a Great -- or Not so Great -- Virginia Beach Camping Spot or RV Park in the last few years? Do your own Virginia Beach Campground or RV Park User "Rave, Rant, or Review" for future searchers of Virginia Beach Camping Info to see. -- You could win a prize in our Contest! Have fun sharing your Campground and RV Park experiences with other Campers. 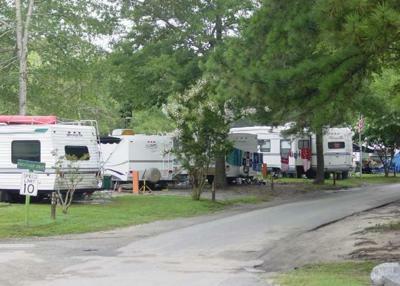 Continue reading "Camped at a Great -- or Not so Great -- Virginia Beach Camping Spot or RV Park in the last few years?" 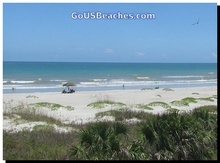 Share Your Own Cocoa Beach Time Share Vacation Rental or Exchange User Review - You could Win a Prize in our New Contest! Check out Oceanfront Cocoa Beach Vacation Resort User Reviews by Our Site Viewers -- Then do your own Cocoa Beach Vacation Resort Condo Rental, Exchange, Attraction, or Restaurant "Rave, Rant, or Review" and Win a Prize in our New Contest! You can do Virginia Beach and Oregon Coast Resort Condo User Reviews too! Continue reading "Share Your Own Cocoa Beach Time Share Vacation Rental or Exchange User Review - You could Win a Prize in our New Contest!" 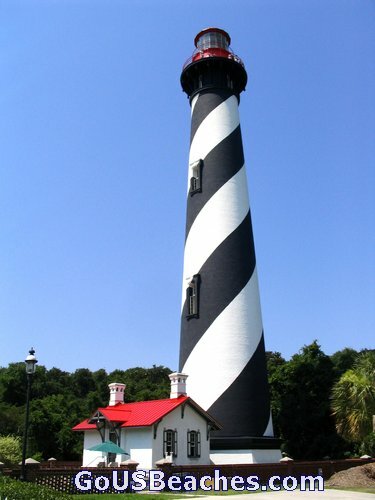 Continue reading "SE Virginia Vacation Beaches outside of local Virginia Beach area - Great Virginia beaches OTHER than Virginia Beach + Pictures, Info, and Tips"
Top Pick Florida St Augustine Beaches Rentals with Reviews & Tips - Ocean Front and Ocean View St Augustine FL Condo + unused Vacation Time Share Rentals. -- Also an Interactive Satellite Aerial Map view of Resorts near the ocean so you can pick one that is close to or on the ocean beach. Continue reading "St Augustine FL Condo Rental Vacation Top Picks + Ocean Front St Augustine Beach Condo Rental Reviews - Discounts + Tips"
If you don't already have a Yahoo or Google personal home page, it's almost worth starting one just to get benefits of RSS! I personally prefer to view my RSS feeds on my Yahoo or Google Personal home pages in the side-by-side layout format that I think makes it easier to scan for things I want to check out further by clicking on the Item Description Title. Clicking one of the 3 "Add to My ___ " buttons will lead you through a couple of simple steps to add an updating RSS Feed line to your Home page at whichever you use -- and you don't have to give out your e-mail address or name! Enjoy our RSS Feed / mini-Blog. RSS Feeds are an easy and quick way to get just the information you want! See why it is becoming so popular! - RSS is easy & Fun! Day Trip to Newport Oregon Beaches, Attractions, & Lighthouses + Pictures & Tips. Easy to remember GoUSVacations.com Page with links to all 3 of our "Picture Enhanced" US Vacation Web Sites + Descriptions. Looking for Something Specific? Search 3 of our Affordable US Vacation Guide Sites.